Fundraiser by Lisa Sheridan : Stop the Soquel Auto Row! Stop the Soquel Auto Row! WE DID IT! AS OF MARCH 20, 2019 WE REACHED OUR GOAL FROM GOFUNDME AND OTHER DONATIONS! WE ALSO ACCOMPLISHED THROUGH OUR LEGAL ACTION OF STOPPING THE NISSAN DEALERSHIP PROJECT. READ PRESS RELEASE BELOW. OUR WORK IS NOT OVER YET, WE EXPECT THE DEALER TO TRY AGAIN! BUT FOR NOW WE WANT TO SHARE OUR SUCCESS AND RESULTS OF YOUR CONTRIBUTIONS. A Superior Court judge decided Friday to set aside the County’s approval of a proposed Nissan auto dealership at 41st Avenue and Soquel Drive because the Environmental Impact Report (EIR) was flawed. Judge Paul Burdick ruled that the EIR failed to satisfy the informational purpose of the California Environmental Quality Act (CEQA), adding that the County committed a prejudicial abuse of discretion by certifying the EIR. Burdick said that the County’s EIR failed to discuss and analyze a range of reasonable alternatives that could avoid or reduce the development’s potential negative impacts, including intensified traffic congestion. As of September 17th, 2018 we are halfway to reaching our goal of 20K! HELP FIGHT THE 41st Avenue at Soquel Drive AUTO ROW PROJECT! 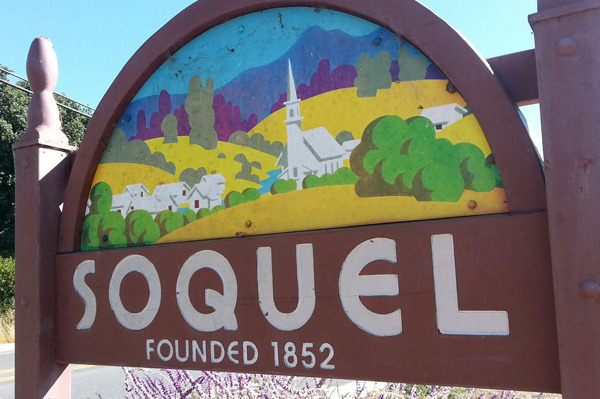 Soquel Village is a quaint, country town with antique stores, a bakery, coffee houses, restaurants and homes. It's a community of thousands of people who need retail stores, offices, goods and services. We need places that we can easily access by foot, bicycle or bus, without having to travel great distances in cars. Soquel is inundated with traffic and in need of well-thought- out planning. 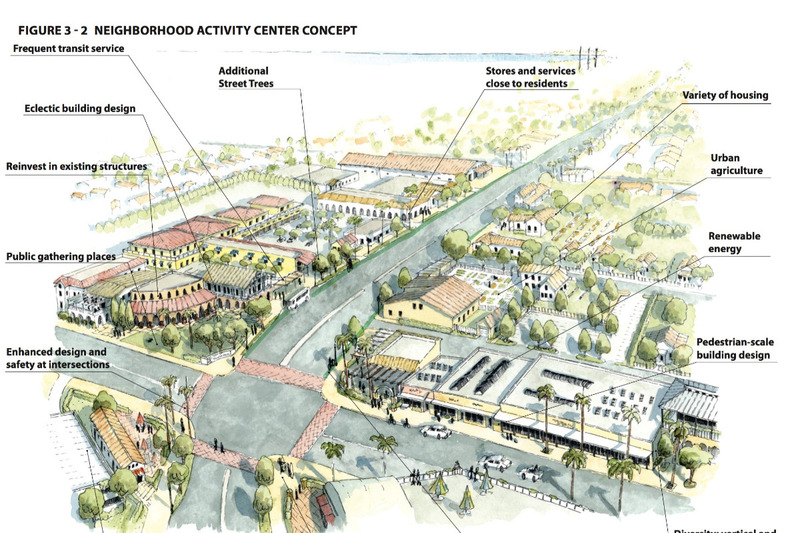 "Vibrant centers are an essential component of a sustainable development pattern in Santa Cruz County. Concentrations of housing and jobs support frequent transit service. Active public gathering places build community and enhance quality of life. 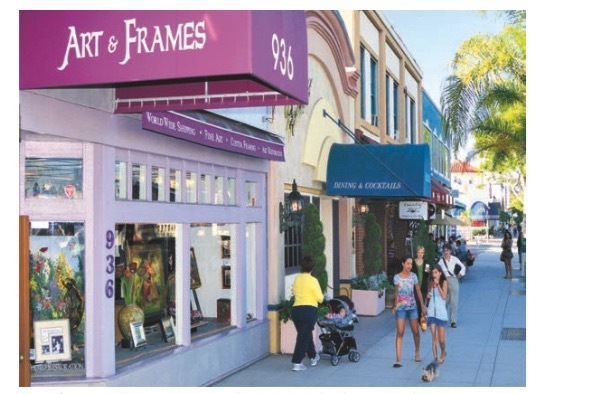 Resident-serving stores and services strengthen adjacent neighborhoods and contribute to economic vitality. Compact urban form accommodates a variety of more affordable housing choices." The Sustainable Plan was ignored by County departments and instead they approved an auto dealership project. This is a far cry from what was recommended in the Sustainable Plan. We don't think this is right..and hope you agree! A LAWSUIT HAS BEEN FILED AGAINST THE COUNTY FUNDED AND YOUR CONTRIBUTION WILL HELP KEEP THIS TRAGEDY FROM GOING ANY FURTHER. OUR GOAL IS TO RAISE $20,000 FOR ATTORNEY FEES. PLEASE HELP US BY CONTRIBUTING ANY AMOUNT YOU CAN. 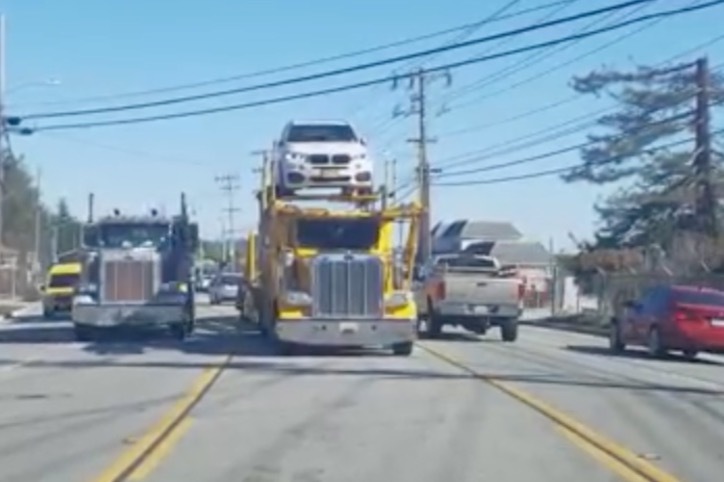 County Planners proposed this Sustainable Plan for the corner of 41st Ave. / Soquel Dr.
And this - Actual picture of a transport truck delivering cars on Soquel Drive at project site. Your contributions will go directly to legal fees. A generous gift of $1,000 has been given to start us out. However, this is a matching fund contribution and will only be available once we reach the first thousand dollars. Thank you for helping us preserve our community and way of life. Any donation no matter the size will be appreciated. Nissan Dealership Project Stopped by Court! We know many of you are anxious to hear how things are going with the legal action against the county. The good news is that we are in the homestretch with a final court date likely in March. However, we are only halfway to our goal of $20,000 for attorney fees. 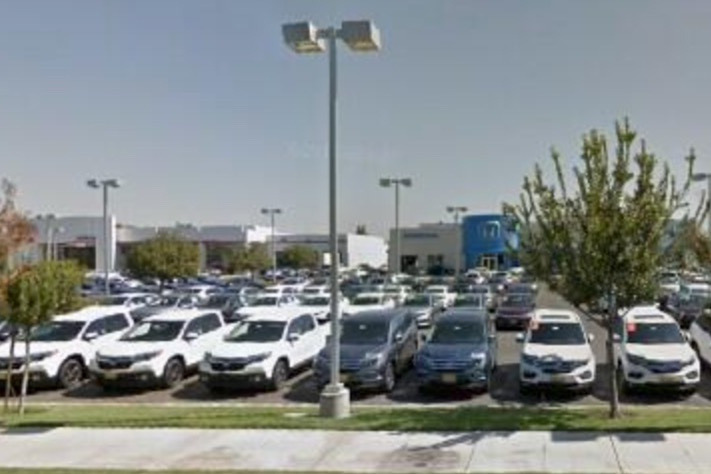 It’s been about two years since our community was first alerted about a Nissan Dealership project at 41st Avenue and Soquel Drive. At that time, many of us were stunned when we discovered there was no public notification, no Environmental Impact Report and no public hearings planned. We later learned, the project was quietly being pushed through for approval by our County ‘s own CAO’s Economic Development Department and the Planning Department. The county ignored our community’s Sustainable Plan and the General Plan and voila - came up with its own plan for an auto dealership for that corner instead. The Planning Department has a subjective policy of purging emails that it believes has no relevance. In our case, the planners purged thousands of emails, that should have been part of the legal record. Fortunately, our attorney was able to recover over 2,000 purged emails from the county’s computer mainframes. This information sent a bit of a shock-wave into our Sustainable consciousness about our local governmental lack of oversight and the lengths they will consider in covering their tracks. Its been a long haul, and your passionate input at the Planning Commission and Supervisor meetings inspired us to take that step in June when we filed a “Writ of Mandate against the County,” a court order to government agencies to correct their previous illegal behavior in order to comply with the law. It’s very difficult for citizens to challenge actions taken by governments. Many of you have given generously and we thank you. We still need financial support to see this through. We hope we can count on you to consider a second donation to this noble cause that will no doubt impact all of our lives and the Soquel community we leave to future generations. Please help spread the word - share this with your friends and neighbors. Meet our new Public Works Director Matt Machado. This is an opportunity to hear how Public Works is managing and planning Soquel traffic and parking. Bring your questions and concerns about parking, traffic and the proposed Robertson light to our Q & A. Fighting the Soquel Auto Row Project! We have a very good chance of winning this case and saving Soquel from the many negative impacts an auto dealership on our gateway intersection. We urgently need your financial support for legal expenses! We are self-funded, working tirelessly on behalf of the entire community but just can’t do it without you. We want to send out a big “thank you” to so many of you for the generous contributions to stop the Auto Row in Soquel. Sustainable Soquel has now raised over half the funds needed for our goal of $20,000. Donations of all sizes have been given to this cause in the form of checks to Sustainable Soquel and through this GoFundMe campaign. Our actual total to date (not shown on the GoFundMe Page), has made it past the half way mark. We posted a goal of $20,000 and have reached $12,255.63 as of today. jobs, improving transportation and traffic, creating walk-able communities and insisting on an open and transparent process in decision-making. Please help us spread the word so we can complete the goal of raising the other half of our legal funds. Posting or forwarding this to your friends or on Facebook is the easiest way. Many thanks again to those of you who have already voiced your support and through your generous donations. Campaign for Sustainable Transportation (CFST). Please share our GoFundMe campaign and let’s Stop Soquel Auto Row!